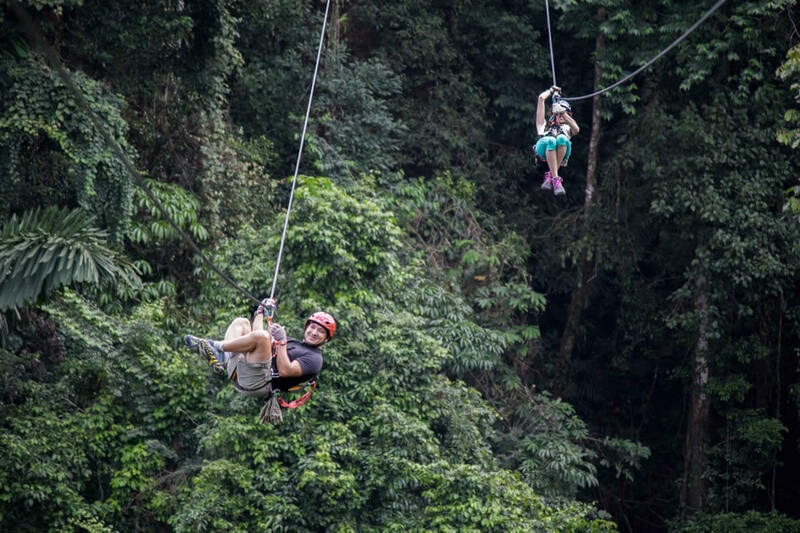 Sky Limit is a unique canopy obstacle course consisting of 12 extreme fun and challenging activities such as: swaying rope ladders, Tibetan hanging bridges, a tight rope walk, rappelling, a Tarzan swing, a free fall jump, ziplining and trail blazing to name a few. 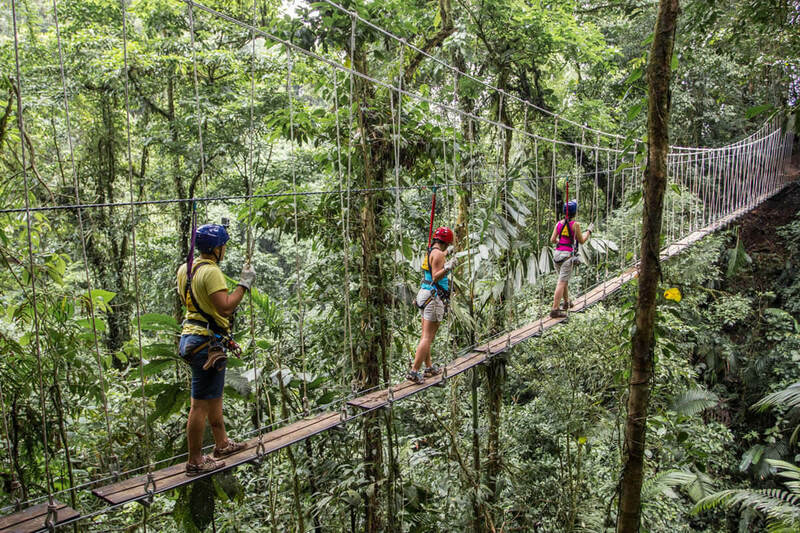 This new and innovative confidence building tour high up in the mountainous Arenal rainforest region has been especially designed for those who like to be mentally and physically challenged. Would that be you? 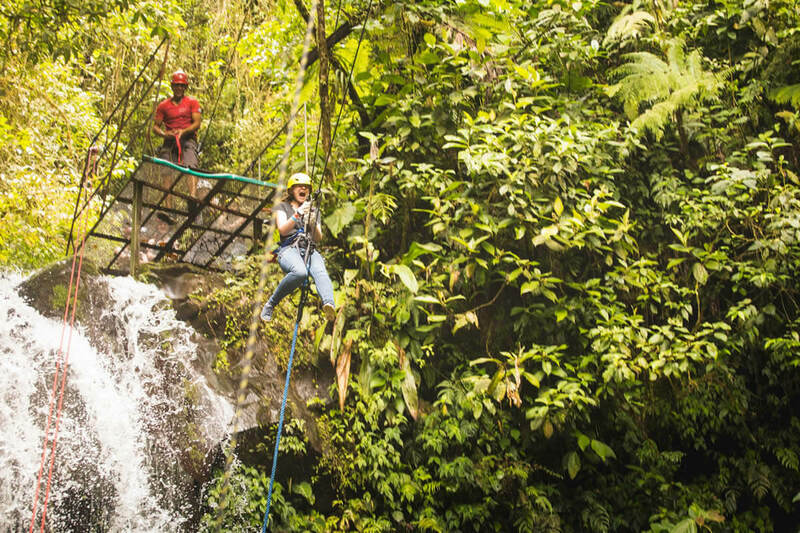 To begin, you will be picked up from your La Fortuna hotel and taken about 45 minutes away to Sky Adventures headquarters deep in the jungle. Your team of professional bilingual(and fun!) guides will get you suited up with quality helmets and harnesses before taking a gondola ride high up into the mountains. 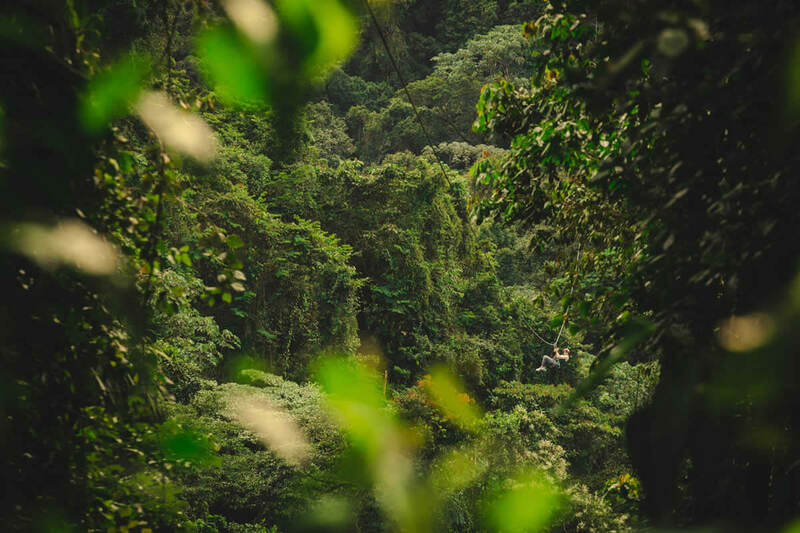 Enjoy your chance to relax and check out the spectacular surrounding scenery while on the gondola ride because once you reach the top, the adrenaline pumping adventure begins. 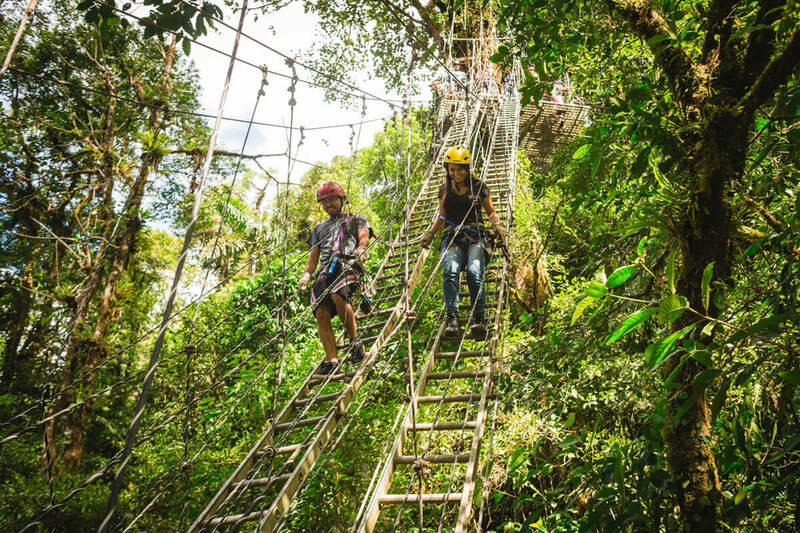 The Sky Limit course is divided into two parts: The first part is done at the top of the tree canopy where you'll test your balancing (and bravery!) skills crossing rope ladders, walking a narrow plank with rope supports, zipping on twin zip lines then doing an assisted free fall jump. Look Ma, no hands! Your guides will demonstrate how to safely and successfully complete each task. If you should fall, no worries, you will be securely fastened into a safety system at all times that will leave you hanging in your harness, able to get quickly back on track. 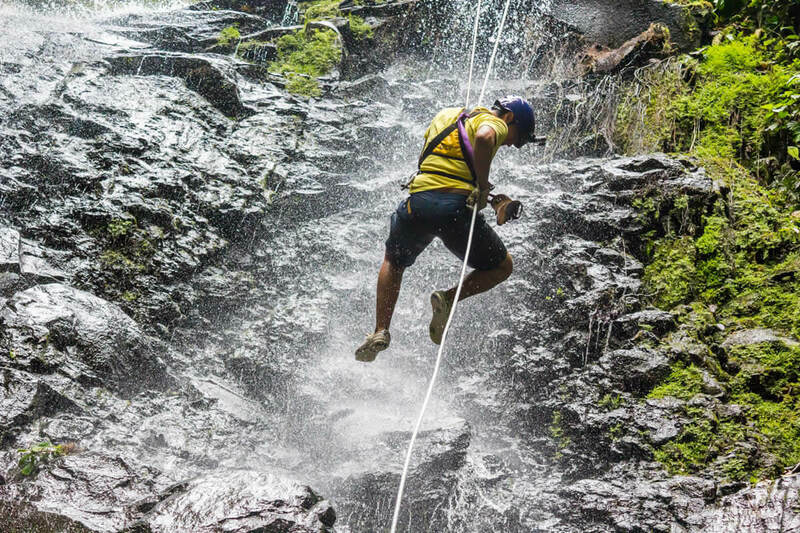 The second part of the tour involves such activities as: canyoning, repelling, Tibetan bridges, trail blazing and a Tarzan swing. Your guides will lead the way and show you how to get the most out of your performance. This section has been described as the more challenging part of the tour, but you will likely be psyched and ready to take on these more intense activities after having already completed the first section. For groups seeking a competitive spirit team building course, this is an excellent way to learn how to work together efficiently, communicate effectively, depend on each other and through group effort, achieve success through mutual support. If you are in a group who wants to run through the 12 activities as a team building course, just let the guides know and they will facilitate creating each activity as a team challenge. 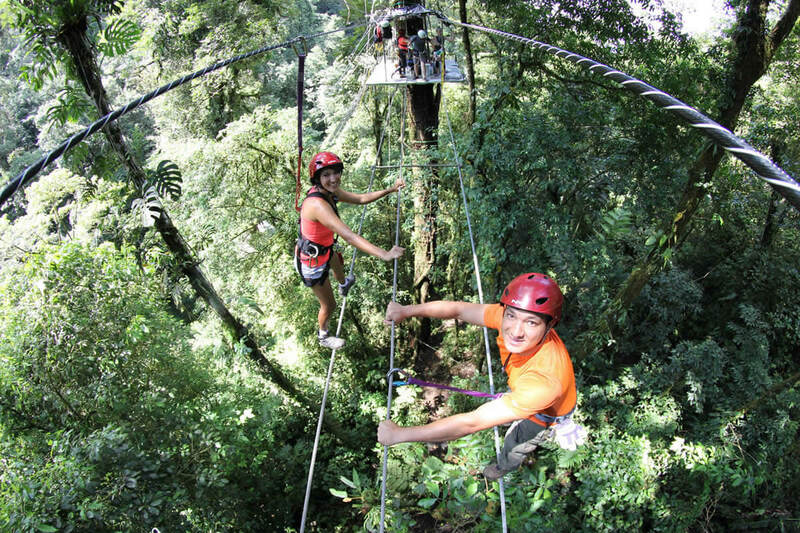 The equipment used by Sky Adventures – Arenal is state-of-the art technology and of the highest quality. Carbon fiber zip lines are used as well as as a DEUS German engineered safety belay system for all descents and safety backup. Safety is their first priority as it is to you as well! This tour is not recommended for people who are afraid of heights, suffer from vertigo or have limiting medical issues. 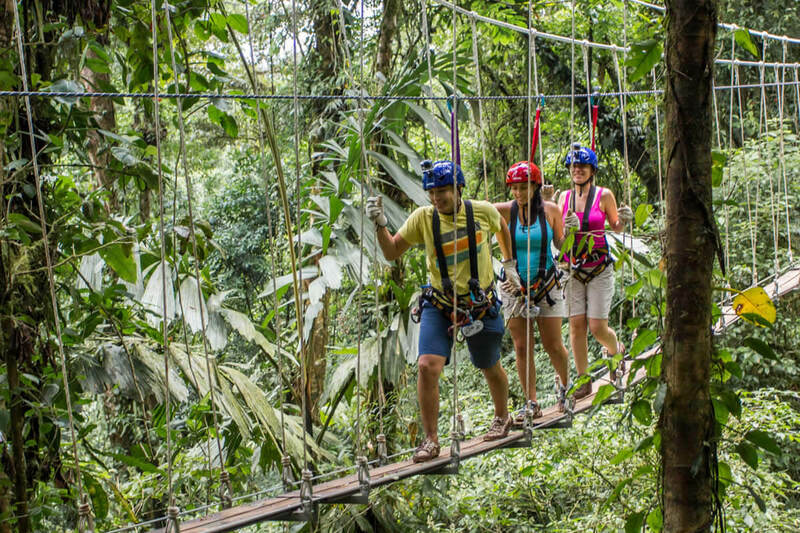 If you are looking to overcome your fear of heights, a basic zip line or hanging bridges tour might be a better fit. 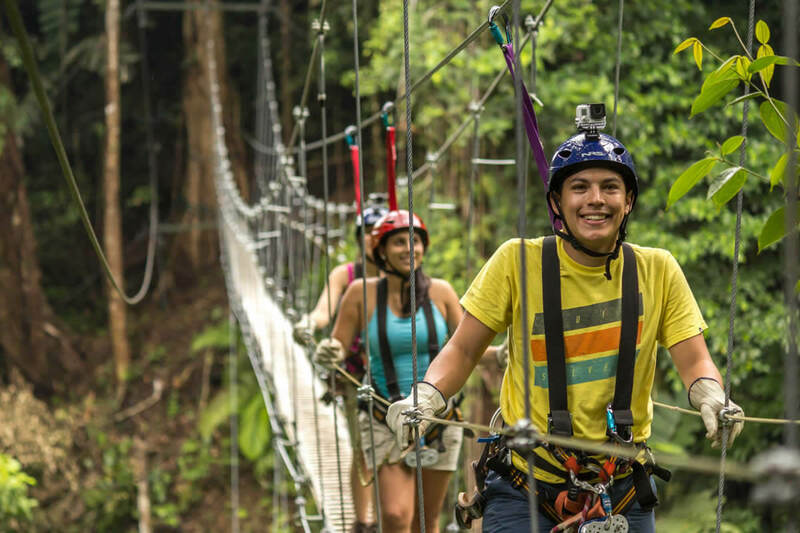 Admission fee, safety equipment, bilingual guides and transportation from La Fortuna are all included in this tour. One way transport from your hotel to Sky Adventures headquarters can take up to 45 minutes depending on your pick up location. Combined time of the tour with round trip transportation is between 3.5 and 4.5 hours. Fully enclosed shoes are a REQUIREMENT for this tour. It is recommended to wear long pants and comfortable exercise clothing, leaving all loose belongings behind or within zipped up pockets. A photographer will be documenting your experiences and you will have the choice to purchase photos at the end of the tour if you want. Minimum Height Required: 1.50 meters high (measured from head to toe) and 242 pounds maximum weight.